This vacation is perfect if you want to stay at a nice hotel for a couple of nights, get all you want during the day and not spend a fortune on your spring or summer vacation. If you like this Cozumel vacation package, you should not wait for long to purchase it, as the best prices will sell out first! This Cozumel vacation package includes everything you need, you will get flight, hotel stay and services in one place. You will get a Washington DC to Cozumel flight, 4 nights stay at the Sunscape Saber Cozumel with all-inclusive services and taxes. 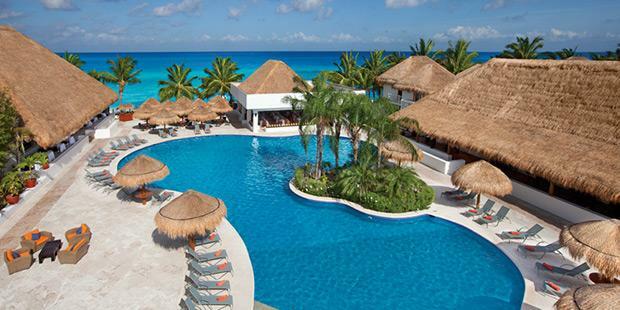 The rooms and suites of Sunscape Saber Cozumel come with great view over the ocean or the tropical gardens. Accommodations have private patios or balconies, decoration in vivid colors, LCD TV with satellite channels, daily restocked mini bar, a king or two double beds and more. Sunscape Saber Cozumel has got restaurants, pools, bars, activities and even nightly entertainment options that you will love while you stay there. You might not want to grab the first good deal that you see, so search below for more Cozumel vacations. Just pick out all the providers that you like and trust and click the button to find a lot of other, similar offers.